Social Security social security categories social security online account Social Security: Things Needed For Calculation And How To Apply? 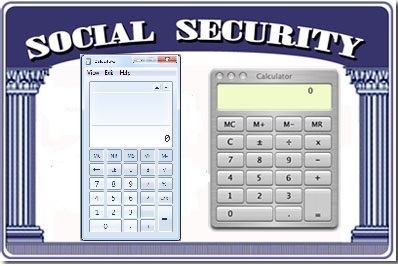 Social Security: Things Needed For Calculation And How To Apply? In 1935, President Franklin Roosevelt passed the Social Security Act that has ever since helped and financially supported the American citizens who may be struggling with money due to a number of reasons such as disability, old age, etc. via the insurance scheme. This insurance is officially termed as the Old-Age, Survivors and Disability Insurance program (OASDI). This insurance falls under the Social Security Administration that is funded through the payroll taxes collected by the Internal Revenue Service or IRS via Federal Insurance Contributions Act tax (FICA) and Self Employed Contributions Act Tax (SECA). These funds are then used to support the different people who are a part of Social Security scheme. So while calculating the social security benefits, all of the above factors are kept into the equation and are necessary elements. What are the different types of benefits under Social Security Act? Must Read: Social Security Benefits: Three Major Categories Described! A person who has worked hard and honestly for his entire life deserve to live comfortably after retiring and should not have to worry about their financial standing. So to be able to enjoy the financial freedom even after the retirement, a person is required to plan their finances prudently and make sure they should save while still earning, invest smartly and stay into the realm of Social Security benefits. A person should apply for the retirement benefits at least four months before you want to start receiving the benefits and it can also be done online by filling up the retirement application offered by the Social Security and it takes just about 15 minutes. Just filling the application is sufficient and there is no need of submitting additional forms or documents. After that the Social Security processes the application and contact the person for further formalities. The person who is at least 61 years and 9 months old can apply for the social security benefits can apply for the benefit, provided they are not receiving the benefits of their Social Security records. The person can choose to get the retirement benefits as early as the age of 62 years or maybe wait till they are 70. Though the person who opts to receive the benefits before reaching the full retirement age gets reduced amount in terms of monthly benefit. The Social Security is determined on the basis of length of time you have worked and paid into the social security taxes which make you as well as the family members eligible to receive the benefit along with the adult child if his or her disability started before the age of 22. The SSI disability also pays benefits to adults and children who are disabled and have limited income or resources to support themselves. In most cases, the medical requirements or eligibility to receive the disability payments are same under both programs. So when you are going to apply either for Social Security or SSI disability, you will be asked for the information based on the medical condition, work and education history to determine if you can be qualified as a disability under the specified laws. Though it is somewhat an uncomfortable topic, still death is inevitable and most of the times unpredictable. That is why it is wise to be prepared for what lies after death in terms of leaving financial support to your family that is going to survive you so that your loss may not translate into financial misery for them. This is where Social Security can truly help your family if something is to happen to you. The Survivors benefits under the social security are meant to support the spouse and the children or the living relative dependent on the person who has died. These benefits are paid based on the earnings of a person and the number of social security credits they have earned through the work. To avail the survivor benefits, you are required to notify the government as soon as the person dies. Can the US citizens living Overseas apply for Social Security benefits? The other great thing about Social Security Act is that even if a US citizen does not live in America itself, but still can receive the social security benefits. It does depend on the country you are currently residing and to find out if you are eligible, you need to visit the Social Security Administration’s (SSA) website where you will have to use the payment verification tool and see whether the said nation appears in the drop-down menu option. If you work overseas then also your work credits get acknowledged while calculating the social security benefits as the SSA has formed an agreement with 24 countries.